Fuel Efficiency | Platinum Drivers Inc.
Fuel is typically expensive, isn’t it? If you’re just filling up a motorbike, it’s not too bad, but if you’re filling up a semi-truck, you’re going to need lots and lots of fuel and the costs add up over time. That’s why trucking companies are always looking for ways to save on fuel, as they should. And as a truck driver, what are some ways you can specifically help save on fuel? For starters, keep it simple and just obey posted speed limits. If you stay at 65 miles-per-hour instead of speeding at 70, then you’ll save fuel. Seriously. Next, keep an eye on the traffic ahead and drive in such a way that minimizes gear changes. If you’re always changing gears, you’re not as fuel efficient. Also, do less stops and starts if possible. It’s most efficient to keep a truck moving rather than bring it to a complete stop and then have to start again. Heavy braking uses a lot of fuel. If you have an exhaust braking system, use it for a smooth stop and it’ll help save fuel compared to conventional braking. In mountainous regions, you can take your foot off the gas pedal when coming down mountains. Basically, you’re utilizing momentum instead of fuel to get your truck “down the hill,” and this saves on fuel. Do less revving. Yes, you’ve got horsepower and you want to let others know your engine is a powerhouse, but needless revving is just wasting fuel and putting extra stress on your engine. And it’s noisy! So rev when you need to rather than when you want to, okay? 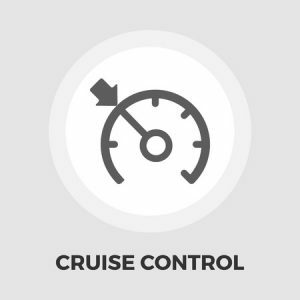 Do you have cruise control? Use it. Are you somewhere where you’re just waiting to go but you’re not going anywhere, for whatever reason? Idling trucks use about a gallon of fuel per hour. Turn the engine off rather than let it idle for long periods of time. If your truck has roof-mounted air deflectors, adjust them to guide air over the highest point of your trailer. And with regards to your load, try keeping it as low as possible, which helps improve aerodynamics. Finally, to save fuel as a truck driver, keep your tires properly inflated. If you’re looking for a reliable truck drivers from a placement agency, contact Platinum Drivers today. Are Clean Air Diesel Engines the Future of Trucking?